Six months ago, in a fit of “Oh Yeah?” one-upsmanship, I committed to recognizing the “Year of the Cyclist” (Chinese Year 4705) by riding 4705 km during the upcoming year. Today is the halfway point on that journey and I’m proud to report that so far I’ve ridden 3735.7 kilometers toward my goal of 4705. It’s been a great year for riding. 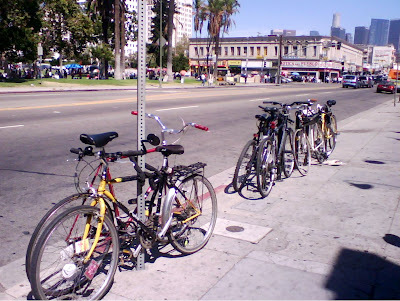 Because I work with Neighborhood Councils throughout the city, I’ve had the opportunity to ride to the four corners of Los Angeles on a regular basis. 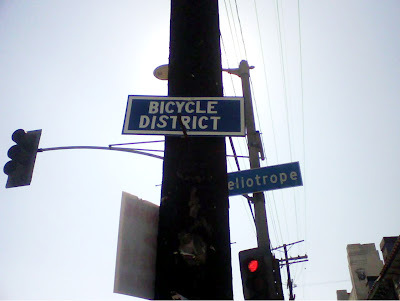 I’ve taken long serendipitous tours of neighborhoods from San Pedro to Chatsworth and from West Adams to Eagle Rock, all in the spirit of adventure and discovery. Along the way, my trusty Marin gave out. 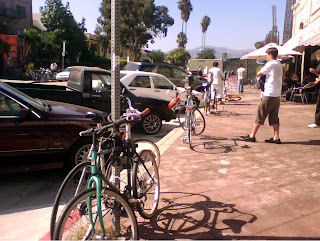 I was riding down Vermont one day when I became aware of the Marin’s extremely comfortable ride. In the 5000+ miles I’d put on the Marin, I’d never fully noticed how smooth it rode, especially over a rough road such as Vermont. Then I realized that the amazing flex I experienced in the frame was due to the two significant cracks, one at the seat post and the other at the bottom bracket! I was sad. The Marin served me well. I replaced the Marin with a LeMans Centurion, rescuing it from its retirement in a dusty garage. I cleaned it up and I think it enjoys being back on the road. I certainly enjoy riding it. 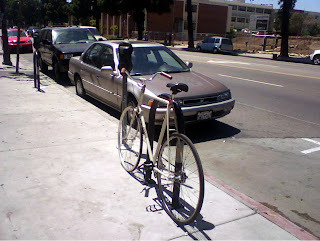 I also built up a nice UniVega frame at the Bicycle Kitchen. This was a first time thing for me. Prior to this, my only experience was reviving or repairing but never starting from scratch. 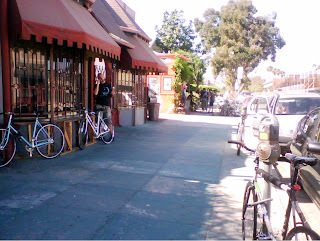 The Kitchen was great and I love riding the UniVega. And so, as I survey the remainder of the year, I have to admit that the most annoying aspect of my challenge has been the pesky miles-to-kilometers conversion. Grrrr! With so many kilometers under my belt and with so much of Los Angeles yet unexplored, I’m going to give up the Kilometer challenge and up the ante to a Mileage challenge. 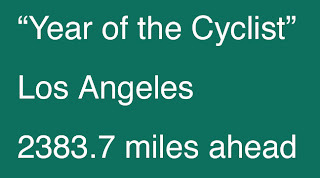 As of today, the “Year of the Cyclist” challenge is 4705 miles in the Chinese Year 4705. At 2321.3 miles on a goal of 4705 I’m all of a sudden behind the pace!